Red shingled roof, spacious indoor courtyards, whitewashed pillars, arc-shaped wooden doors and wide lawns surrounding the house. 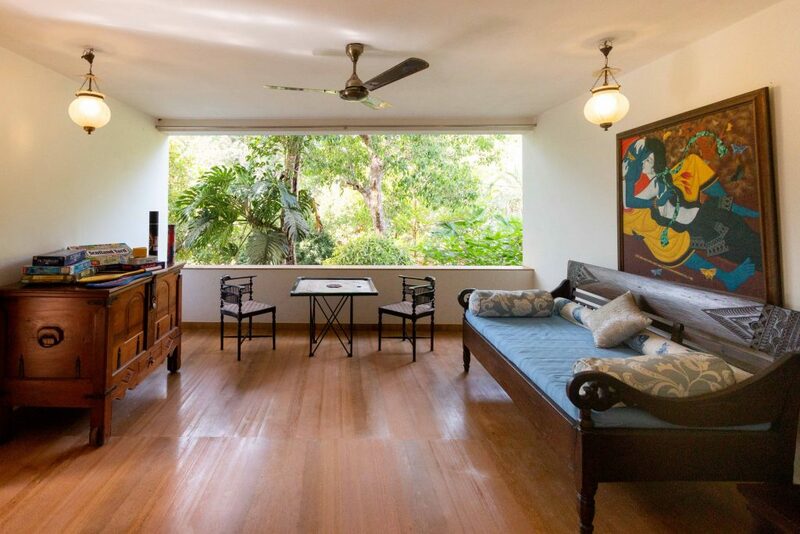 The description indeed paints a picture of a typical Goan villa in your mind. How about spending a vacation at such a cosy vintage villa? SaffronStays Alohomora a 3 bedroom pool villa in Siolim, Goa would be a perfect venue for your Goa trip. Relish over the authentic Goan cuisines and experience warm Goan hospitality. The exteriors of the villa mainly comprise of a combination of red laterite stone and white pillars complimented by a wooden fence. The rustic wooden sitting area in the verandah and the wooden dining table further add to the vintage vibe. 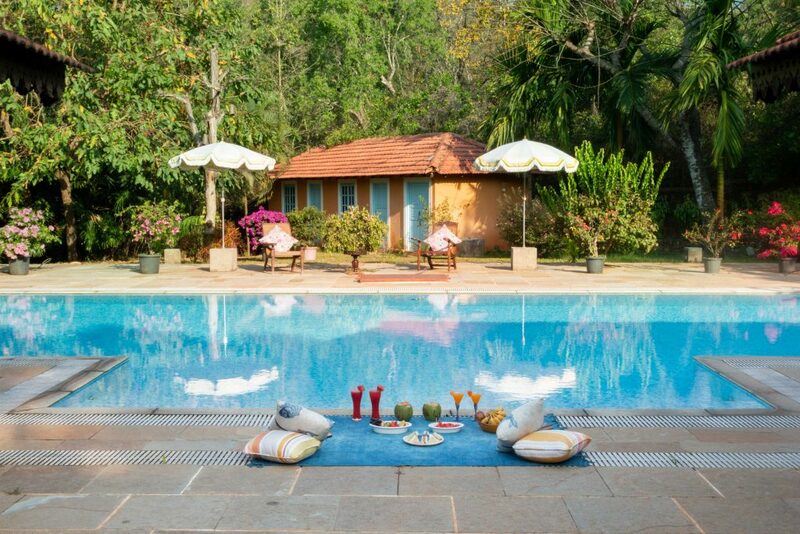 The villa also boasts of a lavish pool and huge lawn. Enjoy playing your favourite outdoor sport or dive into the pool to take a swim. Enjoy your long walks under the stars or simply chill around the pool side. 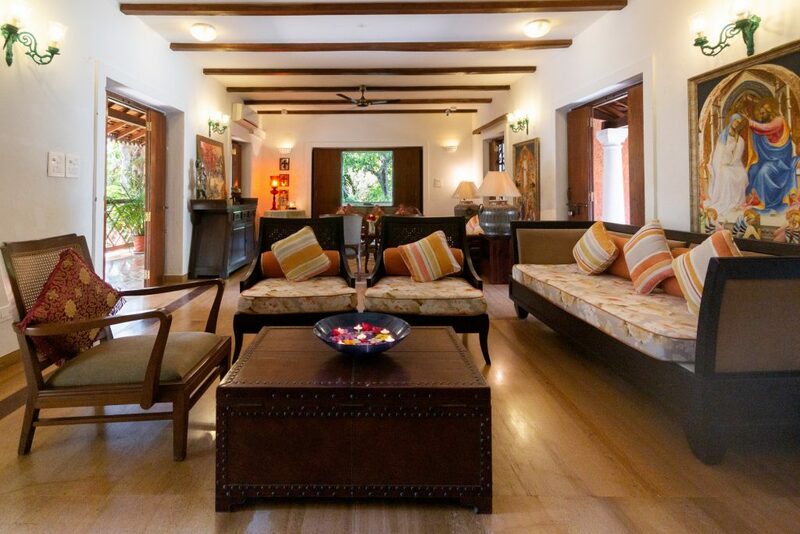 The interiors of the villa are decked up with wooden furniture, antiques and delicate lamps. Elegant paintings adorn the walls of the living room. The bedrooms boast of carved wooden poster beds, delicately engraved chests and snug sitting areas. 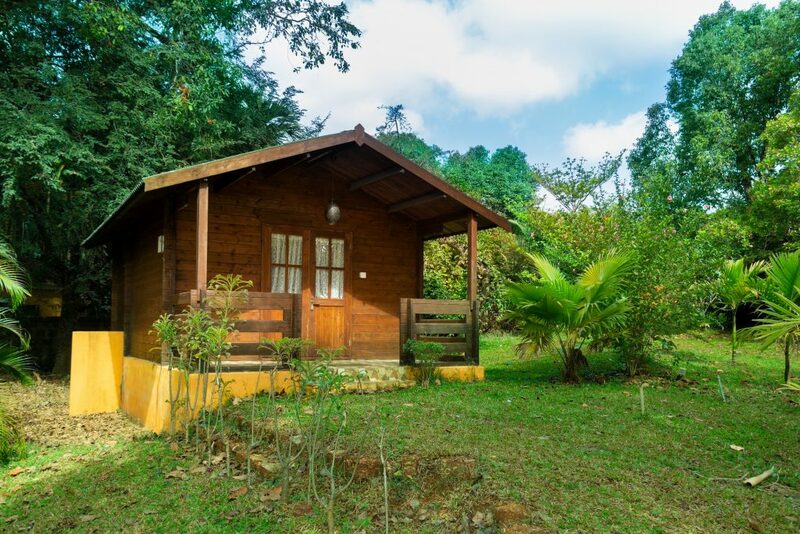 While there are 2 bedrooms in the villa, the third bedroom is an earthy wooden cottage. The city of Goa is famous for its beaches and historical monuments. Chill on the Vagator, Anjuna and Morjim beaches which are close to the villa. Visit the Mapusa market to savour authentic Goan delicacies and fresh cashew nuts. Visit famous religious places like the famous Mangeshi and Shantadurga temples and the Church and Convent of St. Francis of Assisi. Thalassa one of the major tourist attraction of Goa is also close to the villa.